Guarantee Fence Company provides top-notch home fence installation and commercial fencing, following a company tradition of excellence that was established in 1919. Though fencing products and technology have evolved over the years, we continue a commitment to quality workmanship and customer-oriented service. In this post, we discuss how our fencing solutions help secure your home and improve how it looks from the curb. The fence that surrounds your home contributes to your property’s curb appeal almost as much as your roof and siding. Add some style to your home with our ornamental iron fencing. It’s perfect for pool areas, gazebos and backyard spaces. You can even use it in conjunction with our security fences, turning an otherwise industrial-looking fence into an attractive piece that enhances your home’s curb appeal. Apart from our standard steel and iron fences, Guarantee Fence Company also offers premium quality composite fencing from Trex. This fencing option boasts the strength and natural durability of wood with the low-maintenance properties of vinyl. The result is an attractive fence that requires little to no maintenance. Your weekends, after all, should be spent relaxing and not worrying about your fence! You get this comfort and peace of mind when you install a Trex fence. We offer custom-made security fencing built specifically for your home or business. You have a variety of security options, such as electrical and mobile-operated fencing, as well as your standard security gate and keypad fencing. If you’re not sure which features you want to add to your next security fence installation project, we’ll be happy to recommend the choices that fit your property’s unique security needs and parameters. 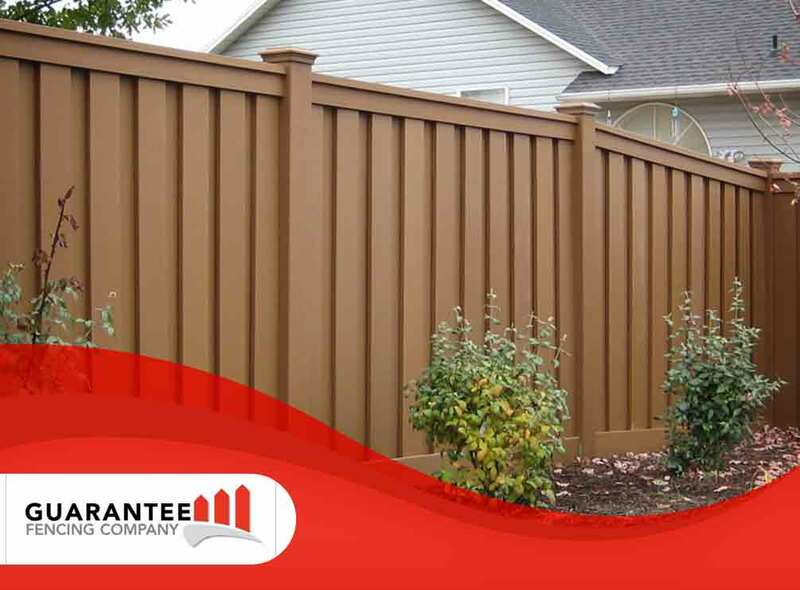 At Guarantee Fence Company, we are the company to turn to for residential and commercial fencing. Whether you need a security fence or an ornamental fence system, our custom-fit solutions ensure that you’re getting the solution that fits your needs and budget. Call us today at (812) 234-2605 to learn more about our services.